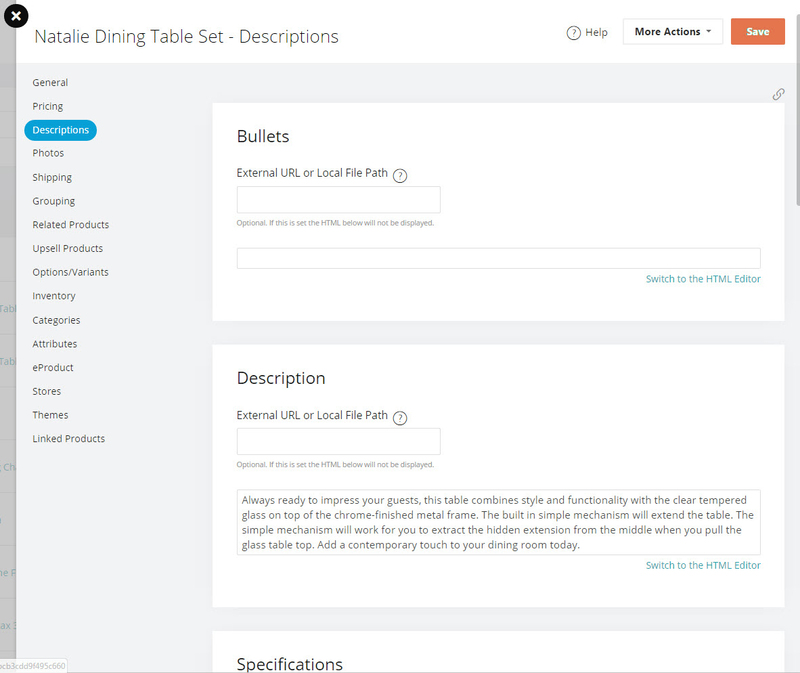 Quick Product Entry offers a very simple way of adding new products to your store. You input certain minimum details and you are ready to go. If you need to add more details and adjust product attributes or include variants then the Advanced Product editor is best. On this screen you only need to fill in those fields that are required. To add a new product, simply click to get started. This is the product name as it will be displayed on the website. To help with search engine optimization, the product name is also used in the product page URL, and it helps generate default meta tags (keywords and descriptions) if custom data has not been entered. Your internal item number to idenfity this product. This will be used for inventory control and as the base number from which Variants build their item numbers. A synonym for Item Number is "SKU", which stands for "Stock Keeping Unit." If you do not have any SKU handy or your product simply does not have any such information then you can generate any unique number on your own. Select the main category for this product from the drop down menu or enter a new category name in the space provided. If you enter a new category name then it will be created at the root level. 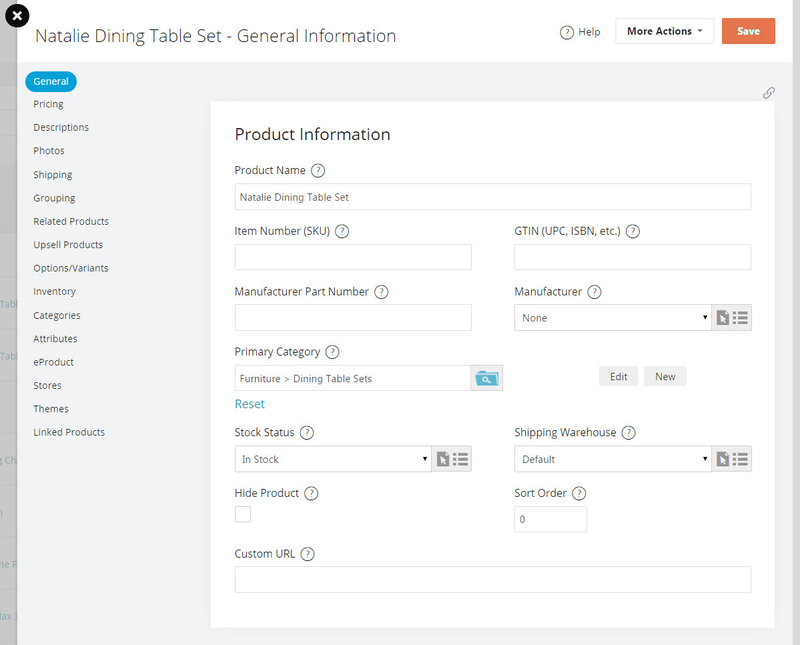 Alternately, you can create your category/sub-category structure before you start to setup products. 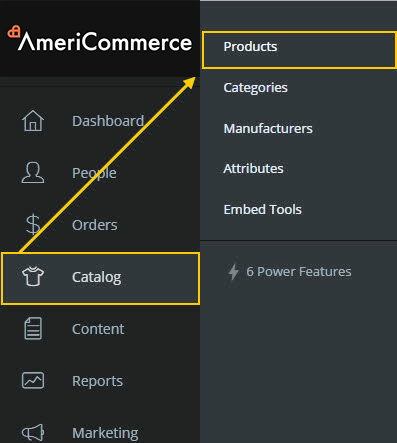 If you want your product to appear in more than one category you can add additional categories with the advanced product editor later. With the Quick Product Editor you can only associate the product with 1 category. Enter a new manufacturer name or select one from the drop down list. New manufacturers will automatically be added to the existing list. Product statuses affect if a customer can order a product or not based on if it is available to be shipped. Typically new products are added with the status In Stock. Checking the box will hide the product. Includes this product in the Featured Products list. When you add the Featured Products Snap-In to your pages this product will be shown there. This is the price of the product as it will be displayed to your customers. If you enter a retail price then both prices will be displayed with the Price striked out and the retail price highlighted. 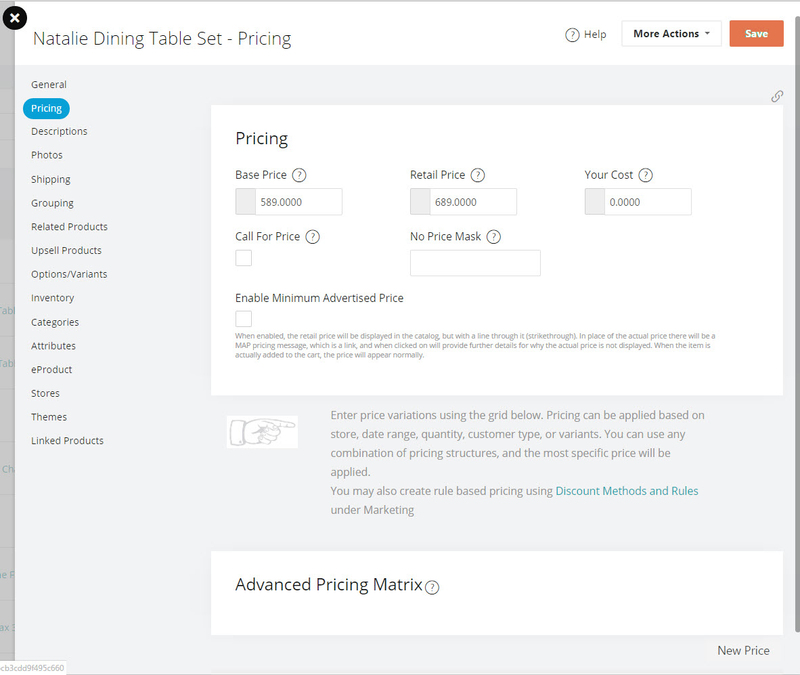 You will also need to check the box for "Enable Minimum Advertised Price" under Catalog>Products>Pricing. Refer to our Price and Advanced Pricing article for more information. An easy to use interface to quickly add your photos. You can click the button, or simply drag and drop the picture from the folder it is located on your pc. This text is shown in product listings (category and manufacturer pages with product listings) and typically contains a brief description about the product. You may use simple HTML tags like <b>, <p>. This field has a limit of 100 characters (including spaces). Tab Settings - Default tab names for the detail pages. Enter the Meta Keywords for SEO in this field. This field has a limit of 250 characters. Description- The description of the product. Specifications - The main specifications and important information about the product. Ex: Weight, Dimensions, Extra information specific to this product. 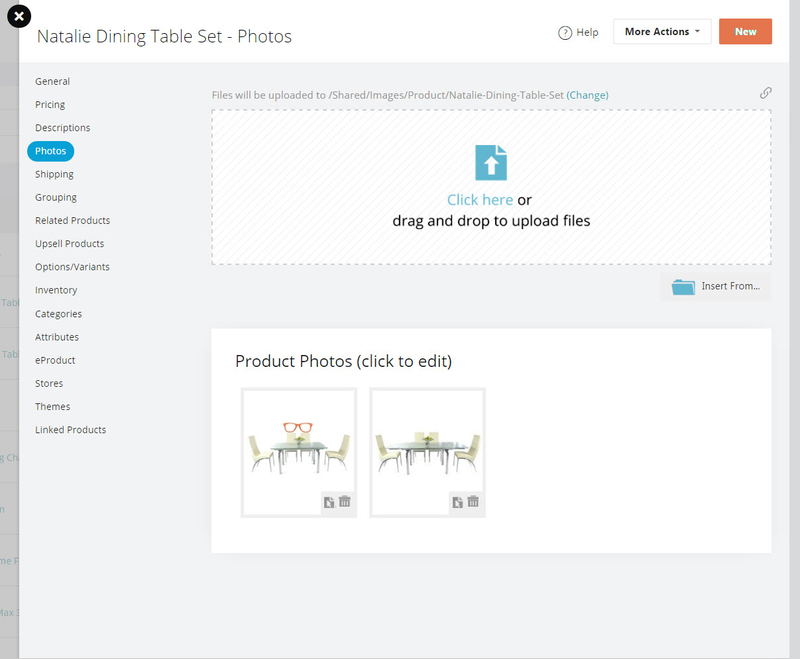 On this tab you can add multiple photos for your product, specify the sort order in which they appear and add alt text for your images. You can also add paths to hi-res images in this section using Zoomify.